October 19, 2018 4:15 pm. English horse Red Verdon will be out to give trainer Ed Dunlop an overdue win in Australia. 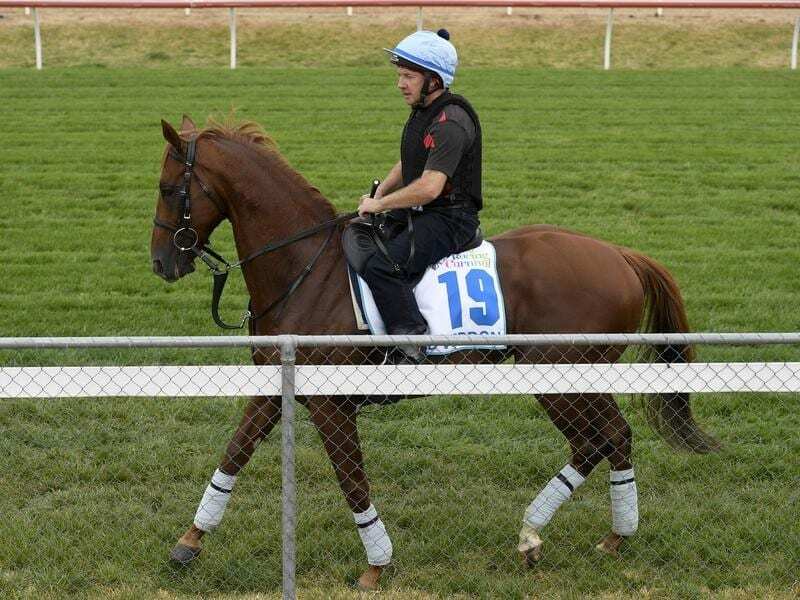 Racing in the light blue and red colours made famous by Red Cadeaux, English stayer Red Verdon will be out to give trainer Ed Dunlop and his team a feature race win in Australia in the Caulfield Cup. Dunlop has had five feature race second placings in Australia in the past decade, with the late Red Cadeaux responsible for four of those including three in the Melbourne Cup and one in the Queen Elizabeth Stakes in Sydney. Red Cadeaux had to be euthanised when he failed to recover from an an injury he suffered in his fifth Melbourne Cup in 2015. Dunlop also had Trip To Paris finish second in the 2015 Caulfield Cup and on Saturday Red Verdon will line up in the $5 million 2400m handicap, with a genuine chance to go one better. Dunlop’s travelling foreman Robin Trevor-Jones is back in Victoria for another spring carnival, and is upbeat about Red Verdon in the Caulfield Cup. Trevor-Jones says the six-year-old brings strong European form to the race and has been training well at Werribee where the international horses for the Melbourne spring racing carnival are housed. “He’s absolutely thrived there. I’ve never seen a horse turn and look so well so quickly,” Trevor-Jones said. “His training has been good. Steve, his work rider, has been really happy with him. Red Verdon will be ridden by champion Hong Kong-based Australian Zac Purton who won the 2014 Caulfield Cup on Japanese horse Admire Rakti. The winner of five of his 24 starts and placed in another 10, Red Verdon’s form this year includes a second in the Group Two Hardwicke Stakes (2406m) at Royal Ascot in June. Third in the Hardwicke was the Aidan O’Brien-trained The Cliffsofmoher who also runs in the Caulfield Cup and was at $7 on race eve while Red Verdon was at $21. “He has got great form in England,” Trevor-Jones said. “That Hardwicke form is fantastic.